In this paper, we present experiments in which we probe the dynamics of a two-state fluctuator (TSF) coupled to a superconducting flux qubit. Our results provide new insight into the decoherence of flux-type superconducting qubits. TSFs are a generic type of noise, observed in many mesoscopic systems, with examples including charge, flux, and critical current fluctuators. In most of these experiments, TSFs are characterized using classical detectors, such as single-electron transistors or SQUIDs. 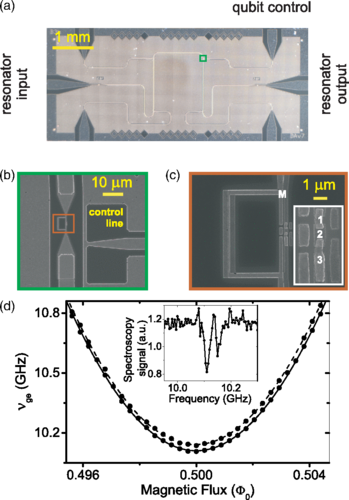 In this paper, we present a method to determine the time scales of a TSF which relies on conditional excitation and measurement of a qubit. 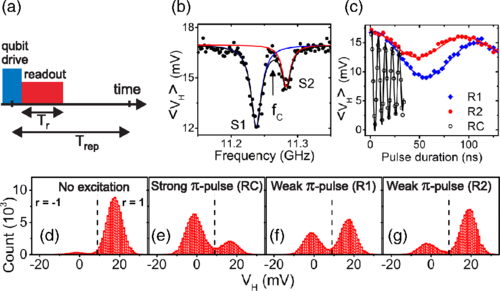 Based on the parametric change of the qubit frequency and the measurement of the TSF time scales, we conclude that the TSF origin is tunneling of quasiparticles through the Josephson junctions forming the qubit. 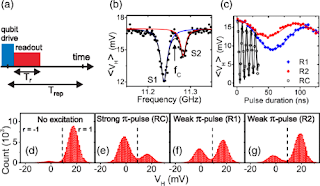 We present experiments on the dynamics of a two-state parametric fluctuator in a superconducting flux qubit. In spectroscopic measurements, the fluctuator manifests itself as a doublet line. When the qubit is excited in resonance with one of the two doublet lines, the correlation of readout results exhibits an exponential time decay which provides a measure of the fluctuator transition rate. The rate increases with temperature in the interval 40 to 158 mK. Based on the magnitude of the transition rate and the doublet line splitting, we conclude that the fluctuation is induced by quasiparticle tunneling. These results demonstrate the importance of considering quasiparticles as a source of decoherence in flux qubits.